Canelo Alvarez won his third weight class title in style after defeating Rocky Fielding in a one-sided bout by KO at Madison Square Garden. Alvarez was active early and wasted no time in going to work on the British fighter and landed dozens of body punches, knocking down Fielding four times and stopping him in the third round to take home the WBA super middleweight belt. 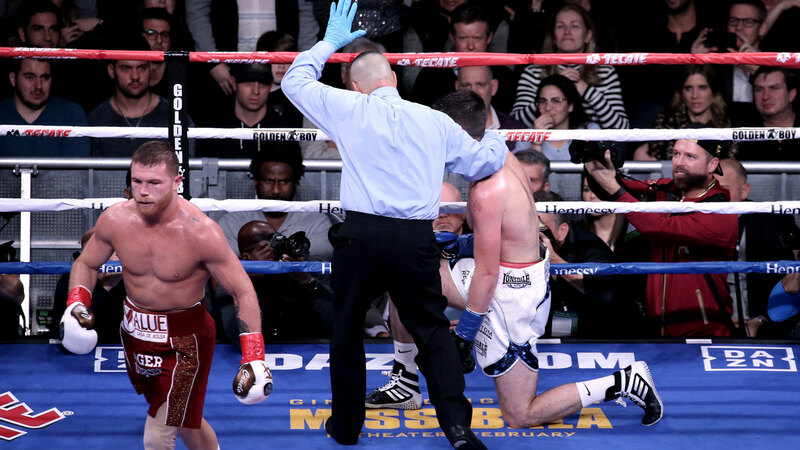 Despite Canelo making easy work of Fielding, a sell-out crowd enjoyed the proceedings with fans endlessly chanting the champion's name throughout the short bout. Alvarez joins eight other Mexican fighters to win three division titles, with the 28-year-old saying he is headed back to the 160-pound class he rules, which could mean a possible third fight with Gennady Golovkin next year. Fielding, 31, won the WBA crown in July when he knocked out Tyron Zeuge in Germany in the fifth round. But the Englishman had never faced anyone close to Canelo's class, and it showed. Fielding came to fight, but was outmanned from the outset. He couldn't block the bevy of body punches launched by Alvarez, who floored Fielding with a left in the first round. Alvarez did it again with a right to the head and a left to the body late in the second round, and that brought down Fielding's hands enough to expose the head.